1. 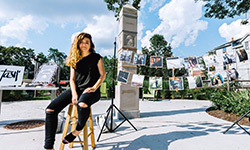 Mini Summer Series at the Gateway Totems, located in front of the Community Garden, celebrating the cultural richness of Morristown by providing opportunities for artists to showcase their work. 2. Over 182,000 students at 88 schools participated in our Arts in Education programs including the Young Artist Mentoring and the Girls Surviving after school programs. 3. 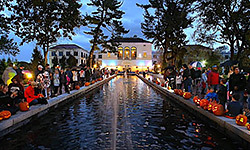 Pumpkin Illumination, events bringing families and carved pumpkins together to create a breathtaking illumination. 4. 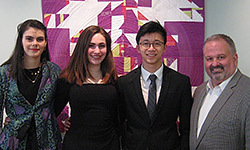 Every year we award scholarships to two graduating Morris County high school students pursuing the arts in college. 5. 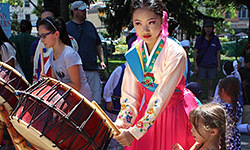 The 35th annual family-friendly Giralda Music & Arts Festival, featuring the New Jersey Symphony Orchestra, an art show and children’s arts activities. 6. 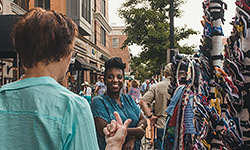 Meet Me in Morristown, creative placemaking events that draw people downtown to enjoy local artists and musicians while shopping and dining! 7. 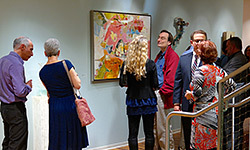 The Gallery at 14 Maple and the Atrium Gallery, annually featuring exhibits that showcase over 1,000 works of art by nearly 400 New Jersey artists. 8. 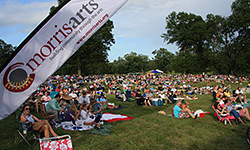 Morris Arts programs First Night Morris County, presenting over 200 artists and 85 events at 24 venues, attracting over 12,500 people to the New Year’s Eve event. 9. 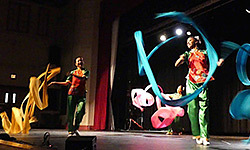 Our summer concert series Music Beyond Borders, featuring four free outdoor concerts of World Music and Dance was offered in collaboration with the Mayo Performing Arts Center. 10. 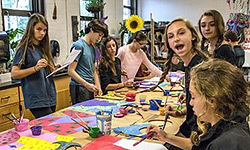 47 Artist Residencies in 30 Morris area schools engaging over 6,000 students through in-depth interdisciplinary programs with professional teaching.